This task allows for scheduling the export of scans records, subject to limits based on your paid plan. This can be done through FTP (file transfer protocol), SFTP (secure file transfer protocol), Email, or Dropbox. Scan records are exported as a CSV file, generally based on an Export Template. A template will allow you to choose which fields to export, the header labels and the order of appearance. You can also customize the export using REGEX or select custom, pre-programmed formats like a clickable URL. The Export Scans task has filters with several options, including scans filtered by date received (recommended), service, app-user, the scan’s status (valid/invalid/error), the scanning device(s) any other important filters. 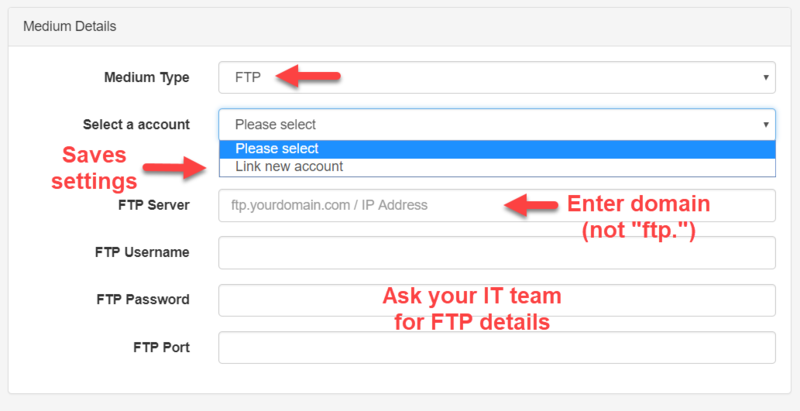 For FTP, SFTP and Dropbox exports you must designate a path. You must minimally put “/” in the Upload Path form field. For Dropbox, the scans records are sent to https://www.dropbox.com/home/Apps/codeREADr. You can post to a specific location within Dropbox by adding the path after adding the “/” symbol in the Upload Path field. 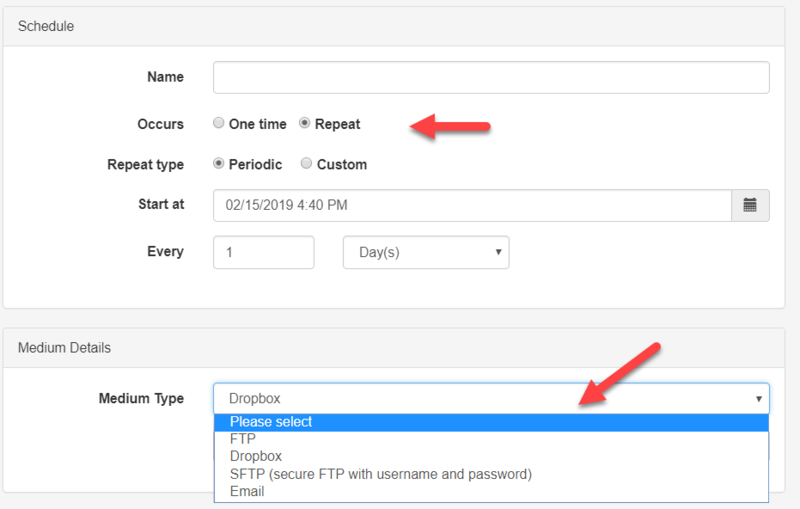 In this way, you can set different locations within Dropbox based on the path entered here. The path’s name/location you enter must exactly match the name/location you set up in Dropbox. 1 – SFTP and FTP uploads have designated IP addresses for whitelisting. You’ll find those addresses on your Account/API page. 2 – To edit/delete external accounts (FTP, Dropbox, etc.) navigate to the External Accounts option on your main Account page.